'79 911SC Coupe. 60k. Superbly Original. 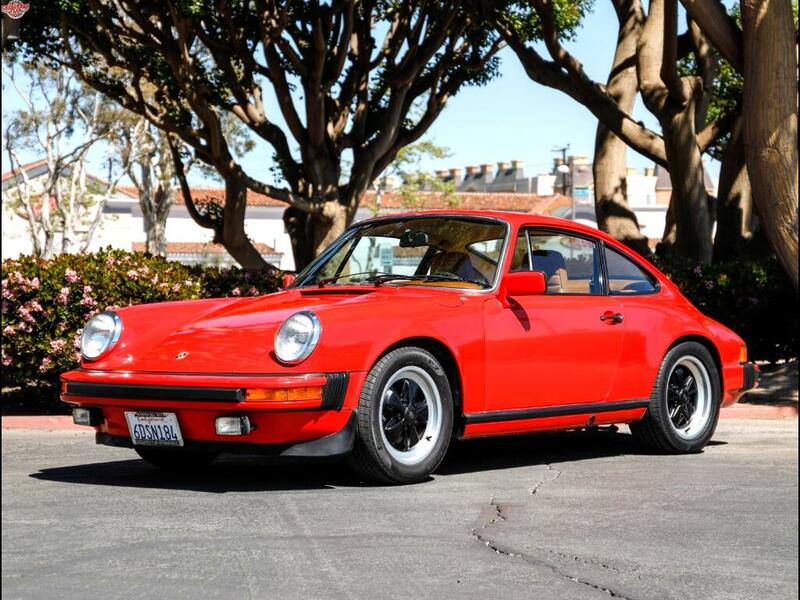 Chequered Flag International is pleased to offer this 1979 Porsche 911 SC Coupe in Guards Red with Cork interior. 59,900 miles. California car from new, sold new by Carlsen Porsche/Audi in Palo Alto and lived in the area ever since. Incredible body with mostly original paint. (doors repainted & hood blended). Fantastic interior with un-cracked dash, great seats, nice door panels, roof liner and carpets. Mechanically very nice and a delight to drive. Great power, good syncros and clutch. Steering and brakes are good. Just had a full check out and service including: valve adjustment, oil change, oil, fuel & air filters, plugs, belts, hood & decklid shocks, oil return tubes, brakes hoses, fluid & pads, A/C repair - around $10k retail parts and labor. This is in the top 5% of remaining SC's in my opinion. Comes with books and keys, Certificate of Authenticity, toolkit, jack and spare. Inspections encouraged. All sales AS-IS. Sales tax and license fees due if delivered in California.